SORRY GUYS MY GOODNESS it has been a while. But it was my first week of proper work just now and that made things like this: hectic! Hopefully I'll get things back to normal. 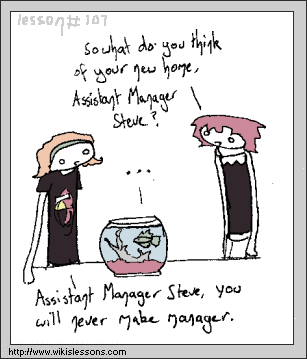 If I don't, my new Siamese Fighting Fish, Assistant Manager Steve, should be able to take up the slack.